Darfuris and Sudanese Diaspora and American Activists are organizing rally on September 24TH, 2013 at front of the Sudanese mission (Dag Hammarskjold Plaza) to express their grave concern about the planned visit by the wanted perpetrator of the genocide President Omer Hassan al-Bashir of Sudan to the United States to participate in the in the 68th Session of General Assembly of the United Nations next week. 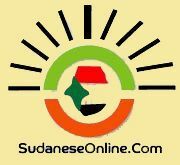 The actions of Sudanese President Omar al-Bashir, who has been indicted by the International Criminal Court (ICC) for genocide, war crimes, and crimes against humanity upon referral from the Security Council, threaten the basic human rights of people around the world. President al-Bashir continues to travel with impunity despite the ICC arrest warrant, even as his victims in Darfur, Blue Nile, and South Kordofan endure unimaginable hardship. The Security Council and General Assembly must not let this happen. therefore, we urge the United Nations and UNSC and the United states to stand for Justice for the victims of genocide in Darfur and accountability of perpetrators, by exploring every possible opportunity to deny al-Bashir entry to the U.S. and in case he is allowed to enter the United States to arrest him while in the country. we hope that the UN, UNSC and U.S. will not spare any effort to bring the long awaited justice for the victims of genocide in Darfur and Sudan at large to fruition.